Ben Curtis is best known for winning the 2003 British Open. 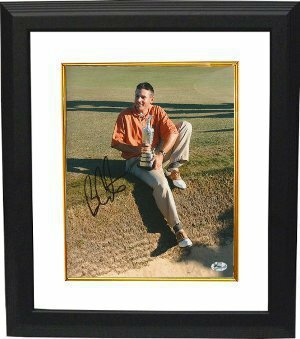 Ben Curtis has hand autographed this Golf 8x10 Photo. FI Hologram and Certificate of Authenticity from Athlon Sports. Custom White Mat and Black Color Framed as shown.